If you’re looking to buy slime online, I’m going to show you the best slime for sale for your money! 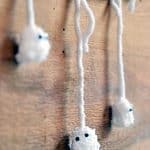 Visit these slime shops and get good quality slime for CHEAP! Your kids will love these options. The slime craze is for real, my friends! 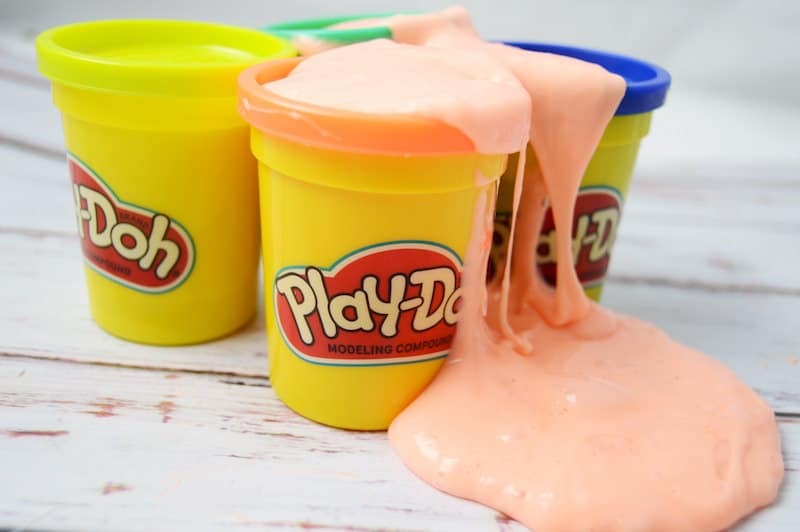 I’ve made this Play Doh slime recipe and this Mod Podge slime recipe – and I really enjoyed it. There’s something about making slime that is just so fun, and we all know how tactically stimulating it is. 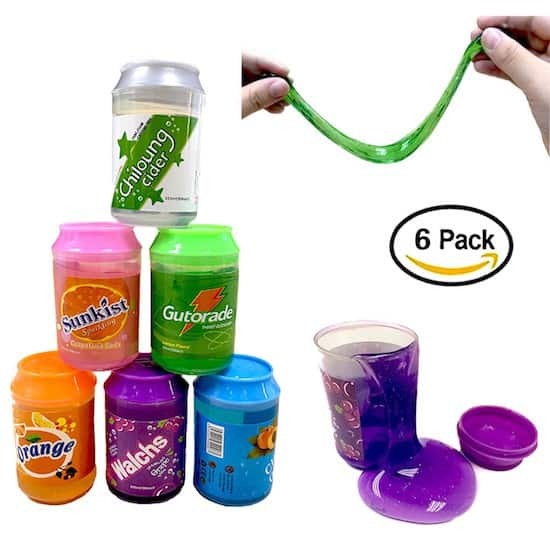 The only issue is that if you need a lot of slime, perhaps for a classroom or party favors, you might to want to buy slime online. It’s time to hit the slime shops to find a good deal! If you’re looking at slime for sale, large quantities might not be your only reason for shopping. 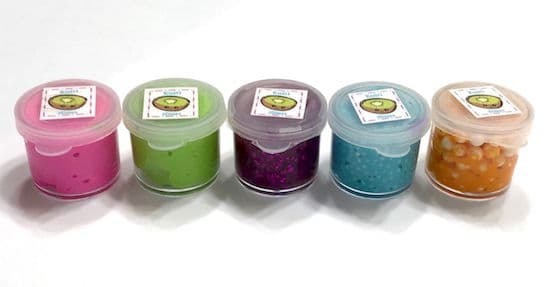 If you only have one child or want to let your kids see if they enjoy slime first before purchasing all the ingredients and investing the time to make it, you should buy slime online. I’m going to show you where to buy slime inexpensively . . . and various kinds as well. Your kids are going to have so much fun. I found six places to buy slime online that you’re going to want to shop, in order of preference. My #1 and #2 picks below are pretty interchangeable, as there are lots of options for colors and prices. I give you an overview and some options from each! If you want to know where to buy slime, I found the best places for you and have the info below. I’d expect to pay somewhere in the range of $6 – $10 for 2- to 4-oz. of product. A lot of the slimes that are advertised as “free slime” or just a few pennies have expensive shipping. You’re not saving any money that way, so be sure to calculate the total with product and shipping. Will It Have Borax In It? Most slime retailers have their ingredients clearly listed. Some parents don’t mind Borax while others don’t want their children using it. Some of these slimes don’t have Borax . . . but if it’s important to you that your slime doesn’t have it, please make sure to read the ingredient list or message the seller/customer service to be sure. Of all of the places I looked at slime for sale, Etsy seemed to have the most available with the highest quality ingredients. There are thousands of slime shops on Etsy, with new ones being added every day! 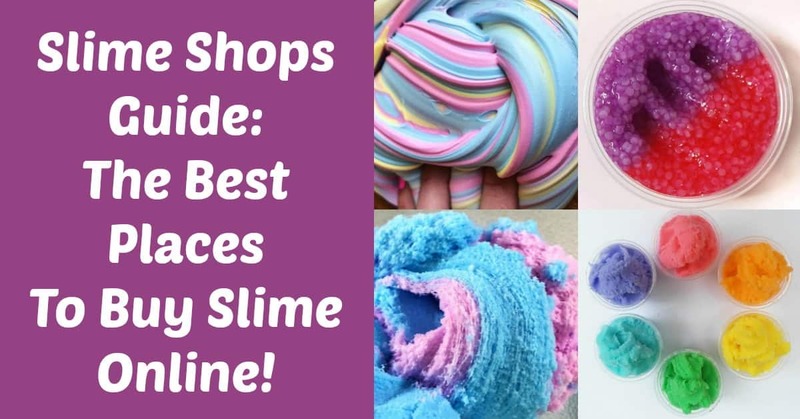 Here are my five favorite slime shops I found. 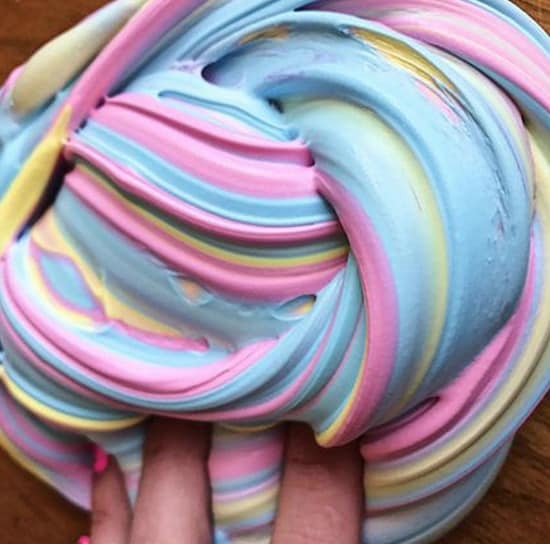 ArtisticSlimez has their best selling taffy butter slime listed for $8 for the 4 oz. size, and it smells like watermelon! It has five stars out of nearly 2,000 ratings. This same shop also offers a cotton candy cloud slime in both pink and blue. This recipe is super fluffy and smells amazing. Starts at $9 for 4 oz. and is available in 6 and 8 oz. sizes too. If you’re looking for favors or stocking stuffers, Super Awwwsome has a party pack of rainbow slime for sale! 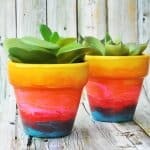 No Borax and prices start at $5. 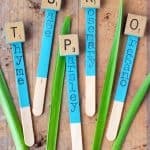 These are so perfect for a summer birthday party! The texture of this is light and stretchy. PS – Super Awwwsome also has a mystery slime box for $7.50 (with extras included) that I thought was pretty cool if you’re feeling adventurous. 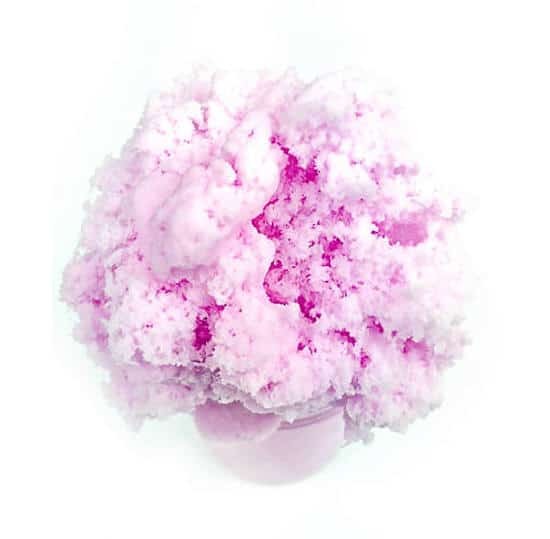 If you’re looking for slime with a bit of crunch, this iridescent bubblegum crunchy slime from JBsSlime is going to be right up your alley! The glitter makes it crunchy, and your children are going to love mushing it around for hours. Starts at $2 for 2 oz. Niki from Monstrous Things has a lot of slime for sale, but I think my favorite is her crunchy slushie slime! It’s half pink/half purple with beads in it for more texture. You can get an optional fruit scent if you like. Starts at $6.50 with cheaper shipping than most others. I absolutely couldn’t leave out this fruit salad slime from Emerald City Slimes. It’s just too cool! This is a clear, stretchy slime with a tropical scent. It comes with the fruity pieces on top for you to mix in. Starts at $2.75 for 2 oz. 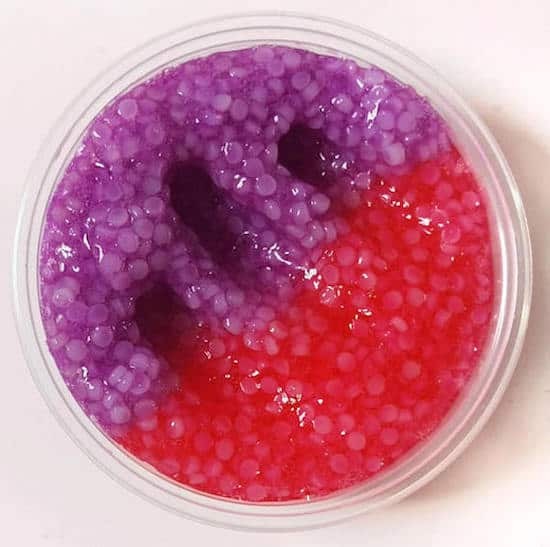 Ali Express is located overseas in China, and (out of all the slime shops) has the cheapest slime for sale. They ship all over the world, and both their prices and their shipping is just ridiculously low. Each item is sold by a different “store” so read the descriptions carefully. If you’re wondering where to buy slime for low, low prices, this is it. This fluffy unicorn slime comes in various colors and is soft and scented! The shipping based on how many pieces you order, but the price starts at $2.84 for a little over 3 oz. 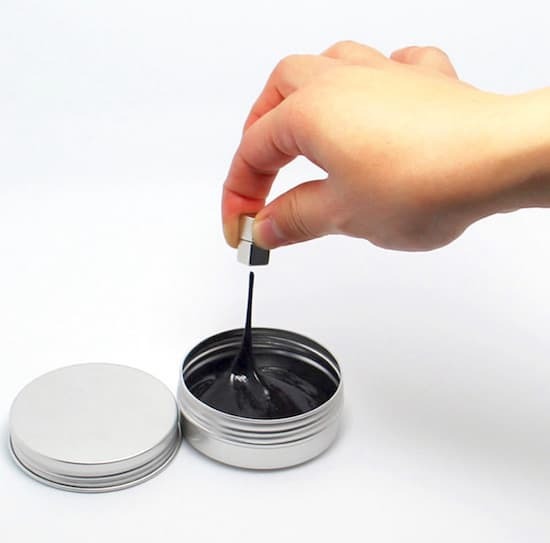 This magnetic slime is super cool! I have no idea how much it would cost me to make a batch, but certainly the ingredients would be over $5, which is what this container costs. It also comes in various colors! 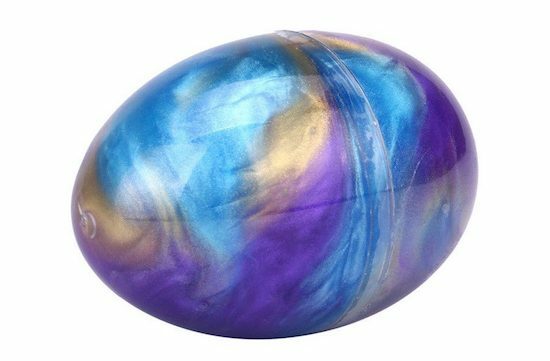 This slime in an egg is more expensive than other slimes on Ali Express, but you can beat the colors! 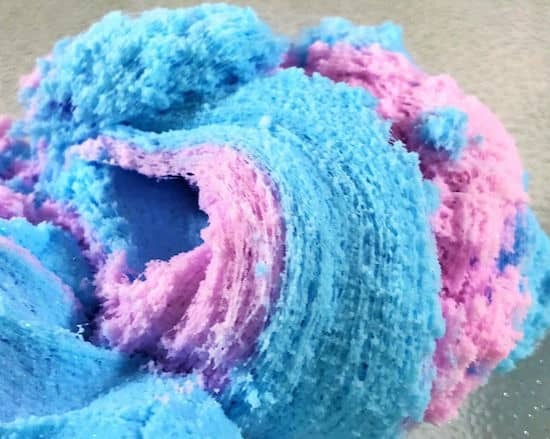 I’ve never seen any swirls like this before, and that is what I love about this site. You’ll find slime colors and mixes that you’ve never seen before! If you’re going to buy slime online, always look for free shipping first. eBay makes it easy for you because you can search for “slime” and then click Delivery Options –> Free Shipping in the left sidebar. You’ll know the true cost because you won’t have to factor in any more cost. As far as slime shops, eBay has a few that I like with great prices. There are a lot of one-off sellers too, but I like to go with the stores that specialize 😀 Remember eBay has a great rating system so always check that before buying. 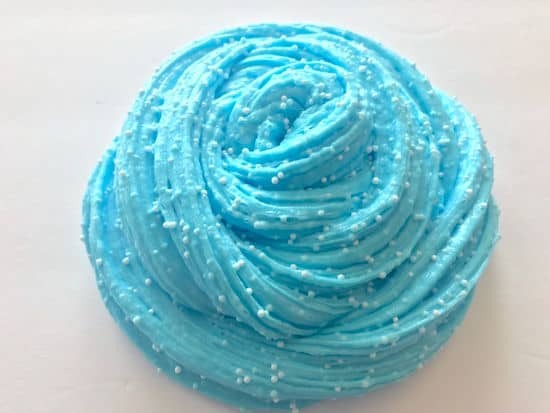 Bubble-n-slime has this crunchy floam slime as well as more than 100 other items for sale! Who doesn’t love the blue? And apparently it’s scented too. 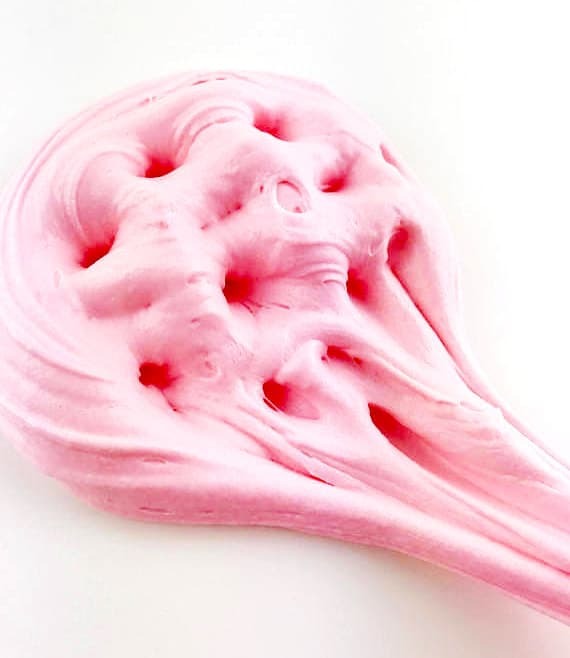 Unicorn Slimes offers this fun fairy floss slime for those obsessed with soft slimes with glitter and bright colors. Comes in a storage container, but you know your children are going to be playing with it 24/7! 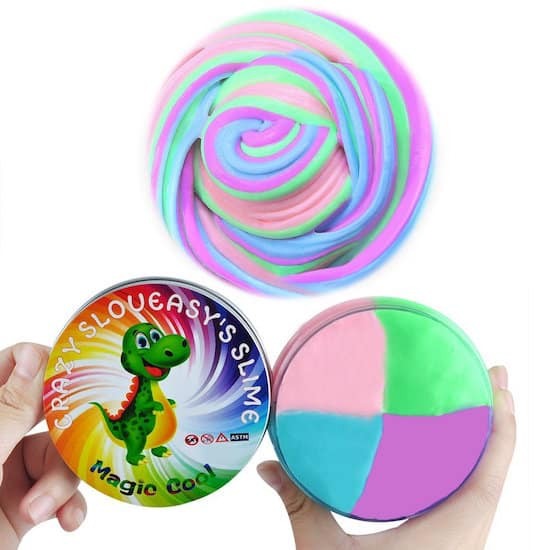 If you’re looking for a slime sampler, check out this variety five-pack from Kuti Slimes. The Kiwi logo and branding is super cute and she has tons of good variations for sale. They are scented too! I can hardly resist. If you’re looking for large batches of slime for party favors, stocking stuffers, Easter egg hunts, school rewards, and more – this is your place. At Oriental Trading you can buy items in bulk for a low price. Here are two items that are perfect. 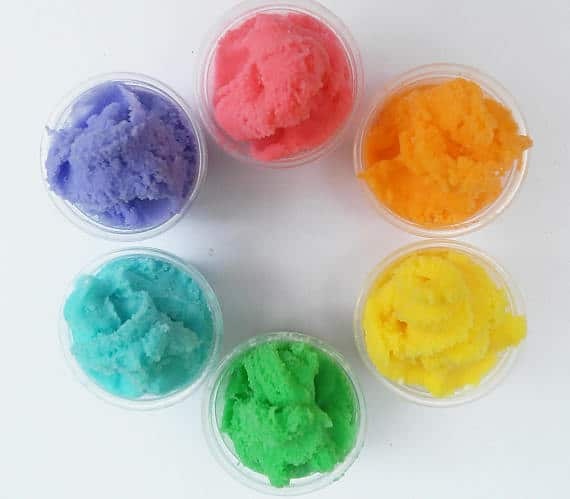 This rainbow mini slime assortment has 48 pieces of 1 oz. of slime for $9.99! I’m not even kidding – that is incredibly cheap. These are absolutely perfect for party favors. I mean . 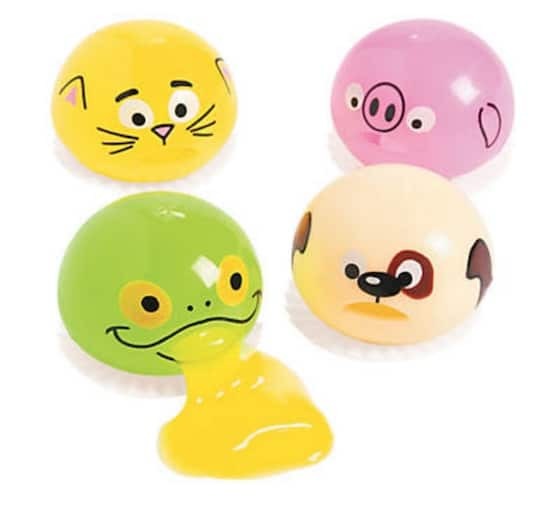 . . these animal slime toys are just super cute. Squeeze them and the slime comes out of their mouth! You know little boys are going to love these – but probably the girls too. I know I would! Walmart has great prices on slime ingredients, but there’s not much pre-made slime to be had online or in-store. Most of what’s available are kits. Having said that, this slime bucket is a pretty good deal! 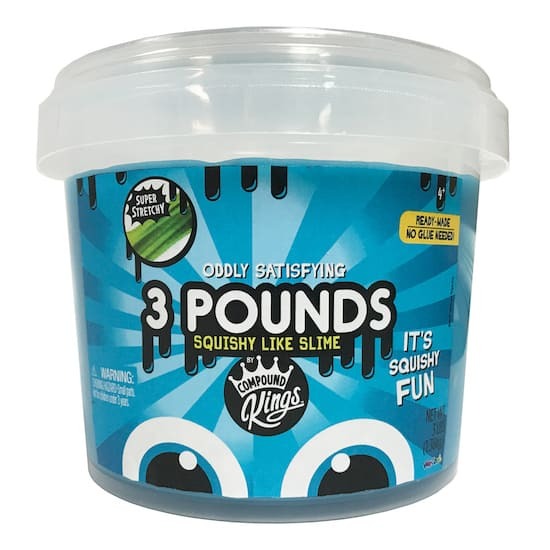 It’s 3 pounds of slime for $9.88, which you really can’t beat. Comes in pink, green, or this fancy blue. If you’re wondering where to buy slime, Amazon is not your place! I’ll be honest, they shocked me with how low the ratings were for the various slimes they had available. I combed through Amazon and these were the three items that stood out to me as worth purchasing! 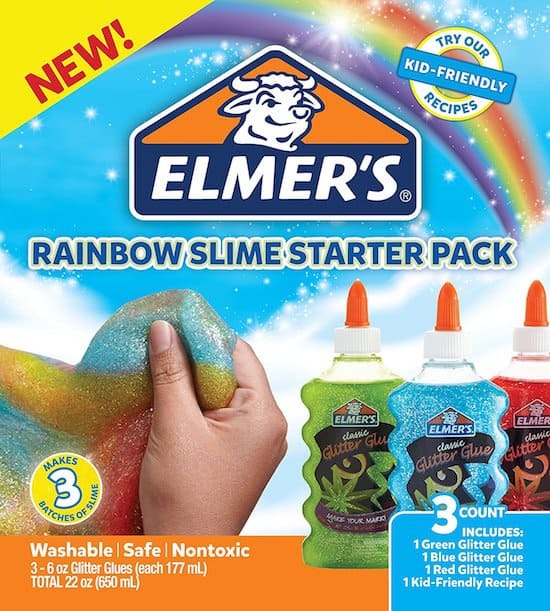 This super soft slime comes in four colors – all packaged into the same container. You get two eyes and a nose along with it which is a little strange? Having said that, I love the rainbow and the colors. This crystal 6-pack is kind of funny because the crystal slimes come in six different “soda” cans with unusual names of drinks! I’m not sure what “Gutorade” is, but this slime for sale come in color colors and has good ratings. 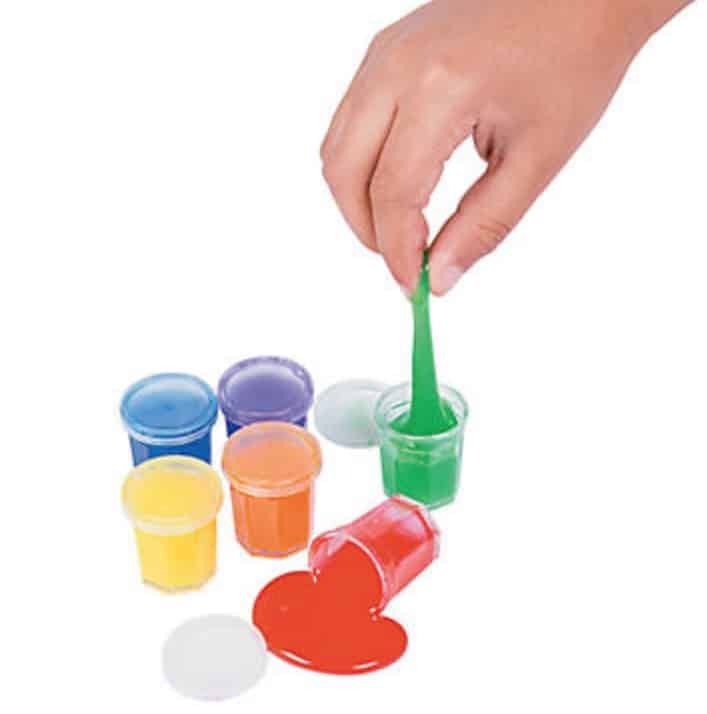 Okay, this Elmer’s Slime starter pack isn’t pre-made slime – but it’s all the ingredients. The reason I add it into my Amazon finds is because it’s only $8.88 and “Amazon’s Choice,” with tons of positive reviews. If you’re wanting to make slime but want the ingredients shipped to you for a good price, this is still a good option! If you were wondering where to buy slime online, I hope my guide has helped! Let me know your favorite places to buy slime in the comments. 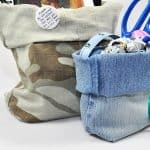 Hand Sewn Recycled Denim Bins – From Pants! Trick Toys for April Fool’s Day! thank you for posting such type of information for us and keep posting for slime shops.